Yesterday was the start to my last spring semester in college. I’m so thankful for this past break but I’m excited for this new season. This year will be busier than last year, but I’m currently perfecting my time management skills. 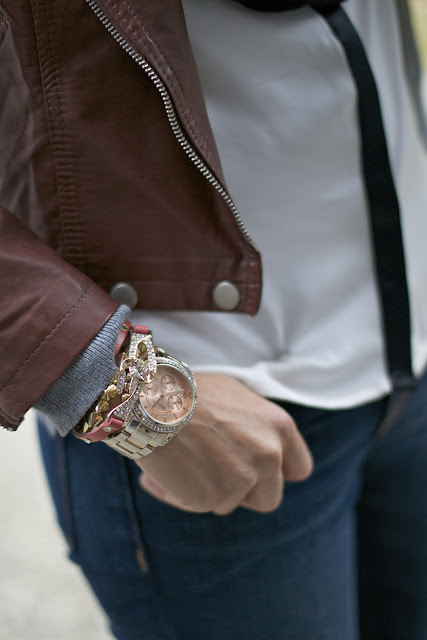 For instance, today’s outfit post was snapped in about 3 seconds between my morning classes and work. This outfit is perfect for a cold day. 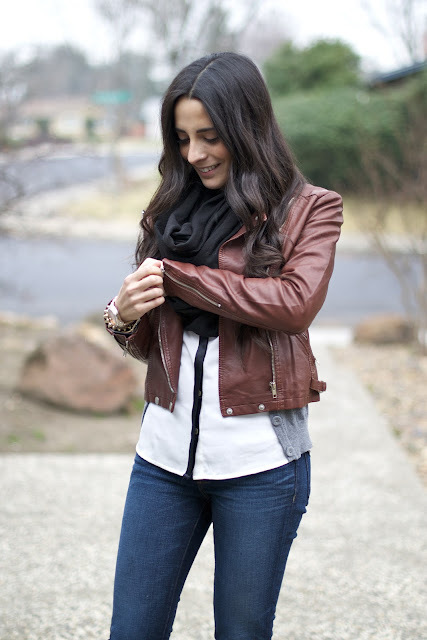 I layered a sweater under my leather jacket for extra warmth, added an infinity scarf and simple booties. I thrifted this jacket last week for only $6! My biggest piece of advice for thrifting is to go with an open mind. I went thrifting last week, not looking for anything in particular and found a ton of items, including this amazing leather jacket. Score! Wow you thrifted this jacket?!!? It's awesome! Great find! 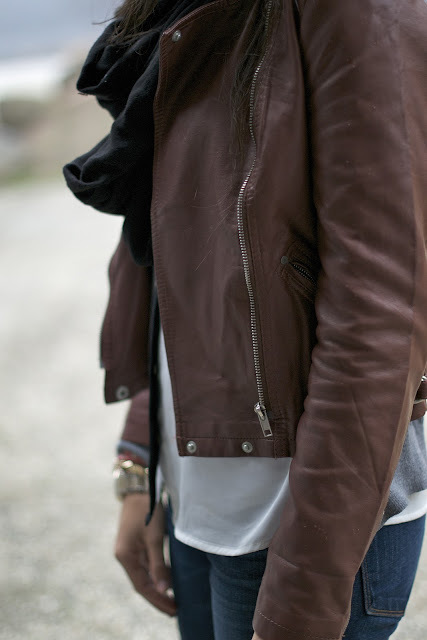 cute classic look! enjoy your last spring semester!! 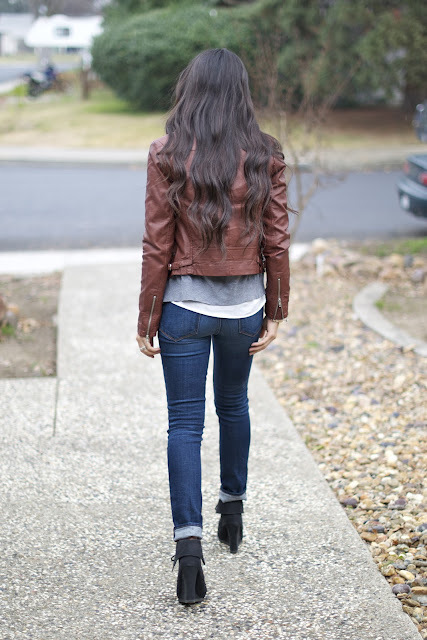 Adorable jacket and wedged booties! Found you at Lucky Community and really loving your style! Now following your blog on GFC (Juneli # 638)! thanks for share this post your model also looking awesome . 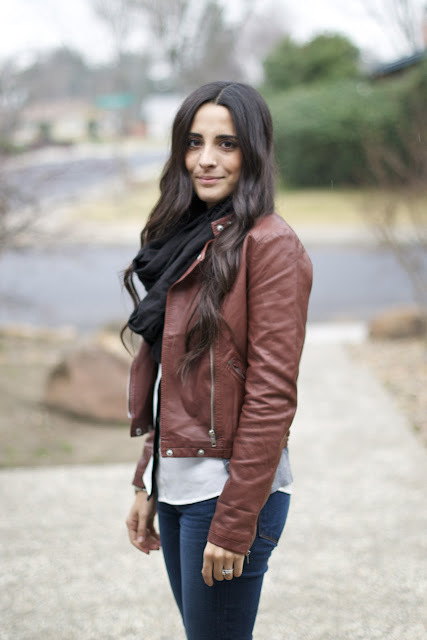 i love to wear leather jackets . We have more dashing stylish leather staff like captain America plz check our site below . Adorable , lovely color .